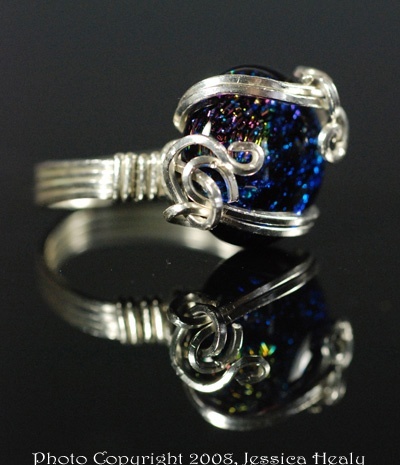 This pretty ring is made from a multi colored handmade dichroic glass. One of a kind with its unique rainbow of colors. Hand wrapped in sterling silver curls. Size is 7 1/2.